As part of the Denver Metro Chamber “Your Conversation With” series, we recently had the pleasure of listening to and asking questions of Christoph Heinrich, Ph.D, Director of the Denver Art Museum. Invited to speak at the Chamber, Dr. Heinrich provided a detailed description of the role of the Art Museum not only as a collector and curator of art but as a cultural beacon for the city including, an expansive teaching role. Originating from Germany and working in Hamburg prior to coming to Denver, Dr. Heinrich has assembled a truly international team in his quest to make the Denver Art Museum a globally recognized museum. Through his efforts and that of his team, the museum also acts as a ambassador for the city and region obviously promoting arts and culture but also the quality of life factor so central to successful economic development. This then is the intersection of Art and Economic Development – that in striving to support cultural amenities such as the Denver Art Museum we also work to improve the overall quality of life for the region, a factor recognized by individuals and businesses alike. Obviously, quality of life factors are not limited to the Denver Art Museum as we consider our own Broomfield community although, Denver’s growing global recognition can only aid in our overall economic development goals. There are numerous elements that contribute to a positive quality of life including our own City & County’s commitment to maintain 40 percent open space, the ongoing development of a Broomfield “downtown” and the role of our various area non-profits. Some of the challenges include how we cohesively market our quality of life, appealing to a wide audience, how we work to create a stronger sense of place and how we continue to support and grow area arts and culture so crucial to our overall life experience. 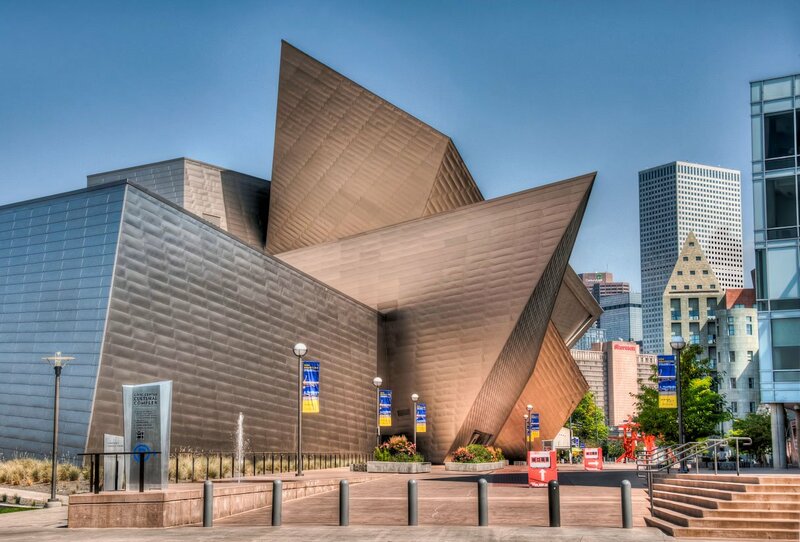 The success of the Denver Art Museum both in terms of its primary mission and its impact on business attraction is a great example of the intersection of art and economic development on a macro level. Hopefully we can look to reproduce some of their success by supporting our own arts and culture. 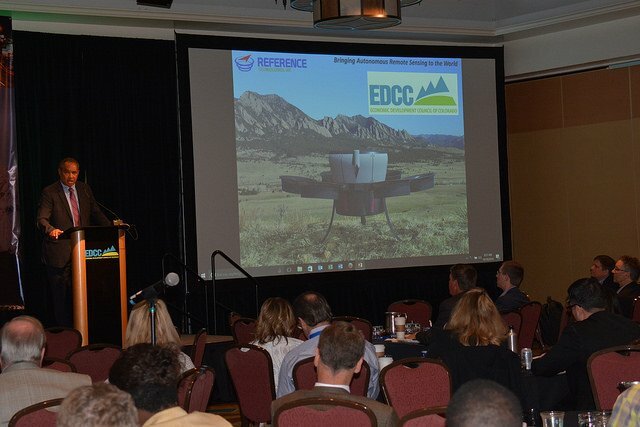 October 17th – 19th, marked the Economic Development Council of Colorado’s (EDCC) annual conference held in the beautiful setting of the Town of Vail. Focused on the theme of “Back to Basics,” the organizers of the three-day conference offered a program focused on some of the core principles of economic development. Presentations and breakout sessions included topics such as: Preparing a Community and its Workforce for Disruptive Change; Driving Effective Partnerships to Meet Statewide Preparedness Goals; Talent – Development, Attraction and Retention; Educate and Train the Workforce of the Future; Cultivate Innovation and Technology; Dynamics of Economic Development Today; Essentials of Strategy; Measuring Success; Marketing; Talent Attraction and Retention; and Growing from Within. Experts in the fields of unmanned air systems and energy also presented in two plenary sessions aimed at evaluating the economic impact of these rapidly changing sectors of the economy. With Colorado already home to numerous Aerospace companies including those operating here in Broomfield, the topic of Unmanned Air Systems (UAS) seemed very relevant, particularly given the growth in this sector. The Consumer Technology Association reports, “U.S. drone sales are expected to top 2.4 million aircraft this year .” In an economic impact study done by AUVSI in March 2013, in the first three years of UAS integration in the U.S., the industry is expected to create 70,000 jobs and have a $13.6 billion economic impact. By 2025 its expected job growth will increase to 100,000 with an $82 billion economic impact. In the UAS presentation business leaders explained how the industry was already having a significant impact here in Colorado including in the fields of: agriculture, forestry, law enforcement, search and rescue operations, real estate and more. We learned that this is a disruptive industry with the potential to offer companies considerable savings over more traditional solutions which in turn offers great entrepreneurial potential. The second plenary session was focused on the evolving energy market. Key drivers of energy demand are changing, creating a very different energy future than what we’re familiar with today. These changes present significant challenges to our energy suppliers and producers. Representatives from Xcel Energy and Tri-State Generation and Transmission Association, discussed the importance of economic development officials and local leader’s involvement, in helping communities and businesses make the transition into new forms of energy output. Xcel Energy is looking into “Our Energy Future,” and how energy consumers can choose their energy sources and how they will use it. “While the electric grid has been a trusted backbone to our community and has reliably powered our homes and businesses. It has also evolved into a platform to provide growth for emerging technologies, products, and services which have contributed to new industry development, job growth, and innovation,” said Rob Osborn, director of strategic revenue initiatives. Overall, the conference was a great opportunity for representatives from economic development organizations across the state, elected officials, and local business leaders to gather, network and learn with the overall goal of growing the Colorado economy. Please click here to read more about all the speakers and to download various presentations. The Economic Development Council of Colorado (EDCC) is a state-wide, nonprofit organization dedicated to successful, responsible economic development. EDCC professionally represents the collective economic development interests of both the private and public sectors. Our mission is to be the premier state-wide organization for strengthening Colorado’s economy by promoting the highest standards of knowledge and skill for ED professionals, educating local and state leaders about the realities of economic growth, and advocating public policies that enhance economic opportunity for all of Colorado. Earlier in the month, UCHealth Broomfield Hospital held its official ribbon cutting and even the Broomfield High School band was in attendance to mark the occasion! Although open for a number of months prior, this was an opportunity to invite various stakeholders to celebrate a first in Broomfield’s history. Located at 11820 Destination Dr., near Highway 36 and Wadsworth Boulevard, UCHealth Broomfield Hospital 18-room facility has three operating suites, a four-bed intensive care unit, an outpatient surgery center, lab and 24-hour emergency department. There is however significant room for growth as demand increases with the building eventually able to house 50 inpatient beds. Although carrying the UCHealth moniker, the new Broomfield Hospital is operated through a partnership with Adeptus Health based out of Texas. Currently the hospital employs 125 people although that number is anticipated to grow as more patients are seen. Just the week before the Joint Commission certified the new hospital, permitting the freestanding ER rooms to accept Medicare, Medicaid and Tricare patients. The ribbon cutting proved to be a very jubilant affair with the aforementioned High School Band and words from Mayor Randy Ahrens. UCHealth was even kind enough to write a generous $5,000 check to the High School to thank them for their participation. Toward the tail-end of the festivities attendees were given the opportunity to tour the facility which provided a sneak peak of the 64-slice CT scanner, on-site pharmacy and impressive dining options. We are excited to welcome UCHealth Broomfield Hospital and look forward to watching them grow as a major health provider in our community.